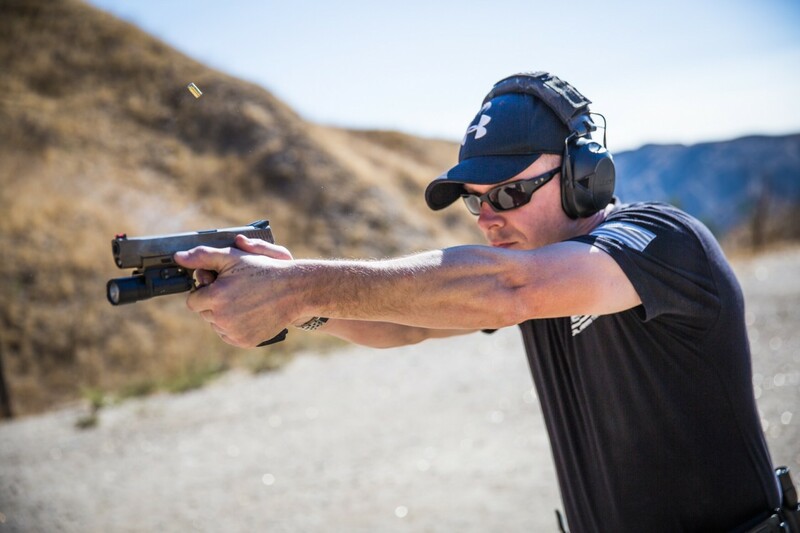 The Combat Pistol Course is designed to give the student a set of solid handgun fundamentals and last resort combatives. Every course instructed at Sierra Element starts with the proper mindset. The course concentrates on the 7 elements of marksmanship, balancing speed and accuracy under stress. This course will challenge shooters of all levels as we cover techniques that are currently being used in US and Foreign Law Enforcement/Military units. THIS COURSE IS PHYSICALLY DEMANDING. ALL STUDENTS MUST BE IN THE PHYSICAL CONDITION TO BE ABLE TO RUN AND STRIKE. Pistol at least 9mm in caliber. When you sign up for a class, your credit is good for up to one year from the original class date as long as you notify us at least ONE WEEK in advance that you cannot attend the class. Those who have not given us at least ONE WEEK of notice or do not show up at the class will lose their credit. Transferring Credit - If you purchase a class and cannot attend, with at least one week’s notice we will hold that credit for you for up to one year.